There has been a lot of fuss about the reformulation of Dior Forever Foundation - there is now a Glow version and a Matte Version. I personally didn't try the original formula but I'm a sucker for a glowy base so I had to pick it up and see what the fuss was about. The description states that it offers medium to full coverage, 24 hour wear, a shine-free, radiant finish that tightens the appearance of pores and makes the complexion appear flawless. Sounds pretty perfect, right? But does it tick every box? Texture: It is a liquid that is so lightweight that it doesn't really feel like I'm wearing any foundation. Big tick! Application: I've tried it with a buffing brush, a beauty blender and my fingers. Surprisingly, the beauty blender is my least favourite method and although I am generally loving using my fingers to apply foundation at the moment, I really love the finish with a buffing brush. Coverage: One layer gives a solid medium coverage and it's buildable if more coverage is required. Any areas of redness that I have are covered with one layer with no extra concealing required on my cheeks but I always brighten my under eye area. Finish: I would describe it as a satin finish - it reminds me a lot of Chanel Vitalumiére (not the Aqua version - the original). There is definitely a glow but it isn't dewy - more of a 'lit from within' glow. Sometimes foundations with a glowy finish can emphasise texture but I have to say that this one doesn't and I agree with the refined pores claim - it glides over pores and fine lines, with pores minimized. Wear time: It claims 24 hour wear but who wears makeup for that long? I definitely don't! Without a primer, I noticed a bit of wear around my nose at around the 4/5 hour mark but with a primer, it stays in tact for a good 8/9 hours and even at that point, it can be easily touched up. Shade Range: There are 30 shades in cool, neutral and warm tones. If you used the previous version, please be aware that there is a variation between the shades of the original formula and the new one. Overall thoughts: I really like this foundation - my skin looks healthy, it feels really lightweight, yet offers decent coverage. My skin glows without looking shiny or sweaty and it doesn't highlight any texture. It also feels very comfortable on the skin as it's hydrating without feeling greasy. It's perfect for my dry skin and I think it would also work well on normal skin and possibly combination, although there would possibly be a need to use powder on the latter. It isn't cheap but I find 1 to 2 pumps is ample per use. £37 in Debenhams and Feel Unique. €50.50 in Debenhams Ireland (total rip off on the exchange rate so I'd recommend ordering from Feel Unique if you're in Ireland). 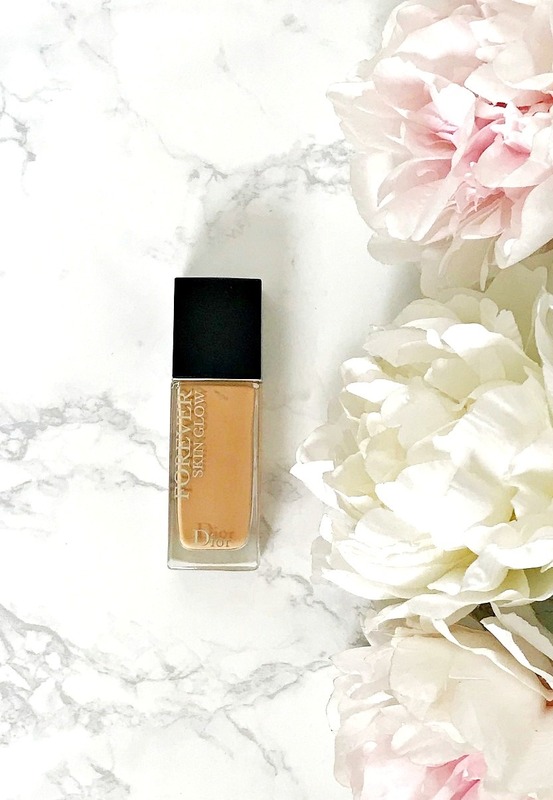 Have you tried this foundation or the matte version? I'd love to hear your thoughts! Don't forget to enter my Jaclyn Hill Palette Giveaway here.